Catalyst Debut with Jackie Greene! Posted March 20, 2014 by Kellen Coffis & filed under Uncategorized. This Saturday, March 22nd we will be making our debut at the legendary Catalyst in Santa Cruz. Being a Santa Cruz band, getting to play this stage is a real milestone for us. If that was the end of the story then we would be feeling good, but it isn’t. 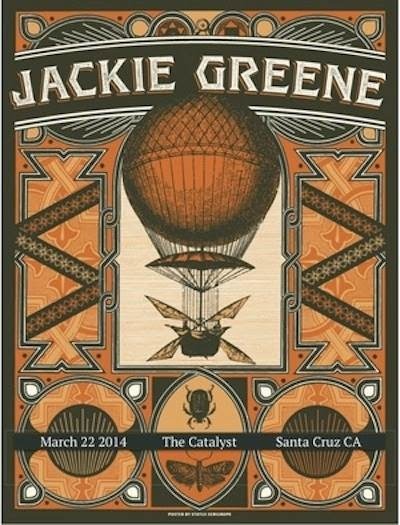 Along with getting to play at The Catalyst we will be opening for one of our heroes, Jackie Greene. Jackie has become a major influence on our writing, performing, and recording over the past four years so we are extremely excited to get to share the stage with him in our hometown. Tickets are going fast so grab them while you can. Following The Catalyst on March 22nd we will hitting the road and we’ll be getting to share the stage with another one of our heroes. On April 16th we will be supporting Mike Viola at The Mint in Los Angeles. He’s one of our favorite writers, producers, and musicians so we can’t way to play with him again. Check out some of our other dates and catch us when we come to your town.